The eye contour area is particularly delicate and concentrates signs of skin fatigue and ageing. Unsightly puffiness, dark circles, folds and fine lines make the eyes look dull and make the expression look lacklustre. 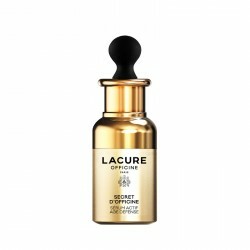 An ultra-targeted powerful concentrate for the eye contour area, SECRET D’OFFICINE EYES Eye Contour Age Defense Serum combines precious natural and cutting-edge bio-technological substances to reduce all visible signs of ageing. 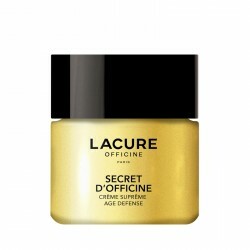 SECRET D’OFFICINE EYES Eye Contour Age Defense Serum targets all signs of ageing and brightens the eyes instantly. Puffiness and dark circles are reduced, your eyelids appear less puffy, your eyes are enhanced and radiate with youth! 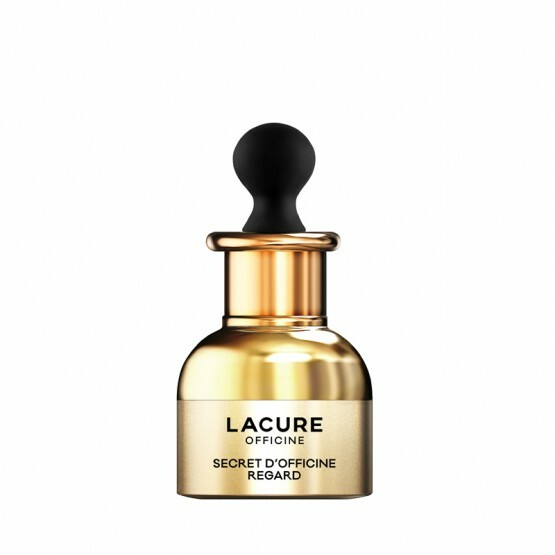 All LACURE OFFICINE products are formulated without parabens, silicone, MIT and phenoxyethanol. Apply a few drops of serum to the eye contour in the morning and evening, paying special attention to the crow's feet wrinkles. Tap very lightly on the eye contour, from the inner corners to the outer corners.